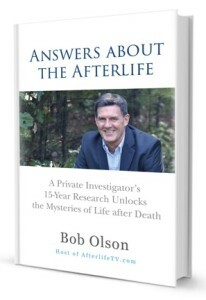 private investigator to afterlife investigator. 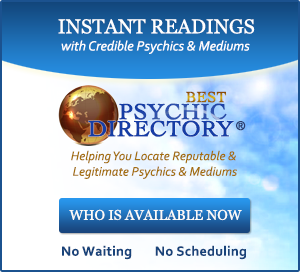 I will believe in your abilites when you take James Randi’s 1 million dollar challenge – why are the psychics so afraid of this??? I’m not a psychic or a medium, so your beginning comment indicates that you’re a little confused. But your question is a good one that I’d be happy to answer. 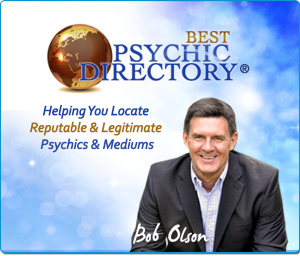 The fact is that psychic mediums are not “afraid” of the million dollar challenge. They are just smart enough to know that the reward can’t be won. Let me explain. While evidence is objective (for example, in a murder we might know the knife is a murder weapon), proof is subjective. This is why we can have two different juries and one can say an alleged criminal is innocent while the other can say he’s guilty. Both juries can look at the same objective evidence and come up with two different, subjective conclusions as to whether or not that evidence equals proof. 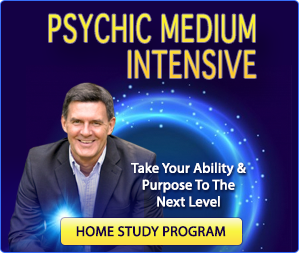 In this way, no psychic medium is ever going to prove to a professional skeptic (one whose professional image is as a skeptic) that their ability to communicate with spirits is real. The answer is that simple. This is why there is no risk in offering a million dollars, because one needs only say, “Well I’m not convinced,” and that’s all there is to it. And this is also why no intelligent psychic medium will ever accept such a challenge regardless of how much money is being promised. So thank you for your question. I was hoping someone would ask it. I also talk about this in the video on Evidence And Proof. This has been a fascinating subject that I always love to read about. 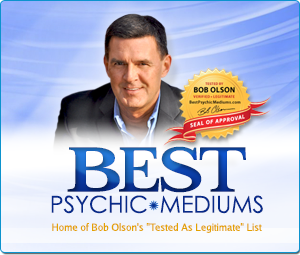 I have to point out that no medium or psychic for that matter ever says they are 100%. There is the saying, ” all mediums are psychic, but not all psychics are mediums.” I saw on John Edward’s tv program where Snoop Dogg was on there with his manager and aunt. John gave readings for both ladies and then turned to Snoop. He looked at John and very bluntly told him that John could have gotten any of that information by researching and/or reading it somewhere. In fact Snoop told him he didn’t believe in John at all. He told him there would only be ONE way he could convince Snoop and asked John the nickname his mother called him cause nobody would know that but him. (In fact John Edward encourages these skeptics). Anyway it took a minute or so and John started to smile and not wishing to embarrass Snoop just told him the first letter of the nickname. Well you could imagine Snoop’s reaction. He confirmed and I imagine after they stopped taping that John said the nickname. Why are mediums so expensive? They are supposed to be helping people right? Some mediums are over $200! That is insane. Your telling me that charging 50 or 70 dollars a session you cant make a good living? I understand the need to make a profit and supply and demand but they were given this gift to help people not to say I’ll help you if you can afford it and these people don’t even have a degree or go to school they simply claim to have this gift!! I wrote this to someone on your top 10 mediums I am curious to what she as well as you say about this. That is a question I’ve often asked myself. I came to this conclusion. Can you imagine the huge long list if they only charged 20- 50 dollars a reading?? Those expensive amounts weed out the ones who seriously want and need those readings and the ones who just want to waste a mediums time. The more popular mediums would never be able to finish all those requests. As it is, that is why they travel around the country and do group shows which cost significantly less money. Those group shows however don’t guarantee that a loved one will come through. I wish I could afford one of those expensive readings but I can’t. I have to content myself with reading their books. Sylvia Browne’s Phenomenon has helped me a lot. She explains in smaller details about all things that are paranormal and the other side and what we can expect. It’s given me a lot of comfort. Thank you for your reply. I did go read it and it made perfect sense. Everything about afterlife, etc has fascinated and intrigued me for years. I have never believed that when we die everything goes black. How sad for anyone who believes that. If I’m correct I believe that all religions believe in some sort of afterlife. There are too many things around to confirm that there is indeed an afterlife. Shows who deal with people having near death experiences, had contacts with spirits, etc let us see just how many people on this plane of existence who have seen proof. Scientists like to say that NDE’s are caused by the brain shutting down at death. Since NDE’ers have reported seeing things at the time their spirit leaves their body on what is going on around them at the time, how can they refute those who have told things they couldn’t possibly know?? You have the eyes of a P.I. !!! Did you mean I have the eyes of a P.I.? 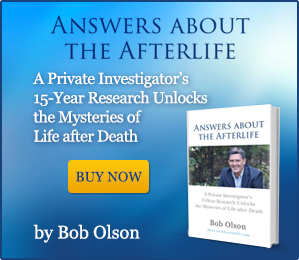 I am new to Afterlifetv. Your credentials are very impressive. I like the way you do your interviews. It is almost like a family discussion……Lots of smiles and plenty of knowledge. I became interested in this field after reading “Your Eternal Self “. Being 77 and living alone, I get in quite a bit of reading. I also get Victor and Wendy Zammits’ Friday report. Love to you, your family and Viewers. I appreciate your kind words. And I too love Victor and Wendy’s work. They’ve been supportive of me now and then over the years. Very nice people. I recently lost my dad to cancer. He died at 63 and I’m 35, so it is a little similar to your story. I also started to wonder about the afterlife when he died, and stumbled across your afterlife tv on youtube. It has helped me a lot with my grief. I have seen a few mediums, but was wondering if you by any chance know of any really good mediums here in Denmark – Copenhagen? I’m sorry to learn of your dad’s passing. I’m glad Afterlife TV has been of some comfort to you. I do not know of any Denmark mediums I would recommend. But I encourage you to not feel limited to your local area, since there are many excellent mediums who offer phone readings, which I happen to prefer. The nice thing about a phone reading is that the medium can’t deduct any information from your appearance, the clothes or jewelry you wear, your facial expressions or you body language. My best wishes to you in your time of grief.